Fit Testing - F.A.S.T. Rescue Inc.
F.A.S.T. Rescue’s Fit Testing Program assesses the respiratory needs to protect the health and safety of your employees. 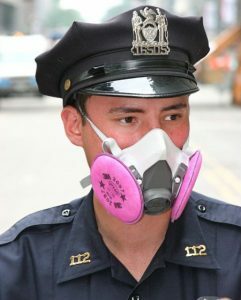 An employer shall ensure fit testing is done on a respirator prior to use, whether they be a half mask, full face mask and or a N-95 mask. Fit Testing should be completed at least every two years or more frequently, if the size, model or type of respirator changes or if the user’s physical condition changes. The Program consists of a group discussion on the requirements and the standards and then proceeds to one-on-one testing for each user.